Maybe you have done or are doing this yourself. Trading under work time and after work . But I have certainly done this before when I was in my second year of trading back then. In this article you will get to know how I made money when I still had a full time job. I started trading on the markets about 5 years ago. After months of practising on the demo account, I finally made my first move on the options of TomTom. I failed badly on my first trade. But learned a lot of lessons from that first trade. Some of these lessons I described it in the blog named : Demo trading account are dangerous. 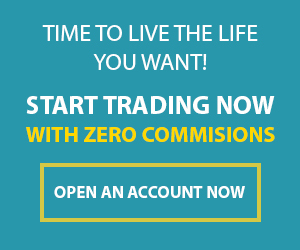 After my first trade I decided that I wanted generated enough income with trading that would cover my monthly living expenses. Although I failed at my first trade but there a time window of 20 minutes where I making a profit of 60% on my investment. At the beginning of my trading career I wanted to become like Warren Buffet and George Soros but I had no large funds to become a long term investor or to become a full time trader. So I had to become a great short term trader in day trading. So from that day on whether my colleague or my boss was calling me, I just exit my day trading. And when I was done talking with my manager or colleague, I just either re-enter the same trade or enter a new trade. With so many markets on the world. You can basically trade 24 hours a day if you want too. Forex market for example is 24/5. And if you don’t like forex then you can trade in many other markets. For example if you are from the UK you can trade in FTSE during the day , the Dow Jones in the noon and at night you can trade in Asian markets. With Plus500 I was being able to trade 24/5. Because I had access to all the markets. That’s the beauty of online brokers like Plus500. It gives you the ability to trade any time and any where you want. With brokers like Plus500 or Markets.com I was able to become good at day trading. And now I even trade and make money when I am on vacation or travelling. Pretty cool huh? If you don’t have a trading account , then click on one the banners below and receive a nice welcome bonus.